CHARMM-GUI DEER Facilitator for Spin-pair Distance Distribution Calculations and Preparation of reMD Simulations. Modeling of Specific Lipopolysaccharide Binding Sites on a Gram-negative Porin. A Pharmacogenetic Approach to Targeting Anxiety: Implications for Lynx2-based Plasticity. Structure and Mechanism of Lipoprotein Transport to the Cell Surface via the Lipopolysaccharide Translocon in Gram-negative Bacteria. Quantitative Characterization of Protein-Lipid Interactions by Free Energy Simulation Between Binary Bilayers. Stalis: A Computational Method for Template-based Ab Initio Ligand Design. U-shaped Caveolin-1 Conformations are Tightly Regulated by Hydrogen Bonds with Lipids. Physical Properties of Gram-negative Bacterial Outer Membranes: Neutron Reflectometry and Molecular Simulation. CHARMM-GUI Nanodisc Builder for Modeling and Simulation of Various Nanodisc Systems. CHARMM-GUI Membrane Builder for Complex Biological Membrane Simulations with Glycolipids and Lipoglycans. Analysis of Lipid Order States and Domains in Lipid Bilayer Simulations. Insight into Elongation Stages of Peptidoglycan Processing in Bacterial Cytoplasmic Membranes. Molecular Basis of Aqueous-like Activity of Lipase Treated with Glucose-headed Surfactant in Organic Solvent. Long-ranged Protein-glycan Interactions Stabilize von Willebrand Factor A2 Domain from Mechanical Unfolding. Synthetic Immunotherapeutics Against Gram-negative Pathogens. Simulation Study of Occk5 Functional Properties in Pseudomonas aeruginosa Outer Membranes. Biophysical and Functional Characterization of Norrin Signaling through Frizzled4. Augmenting the Antinociceptive Effects of Nicotinic Acetylcholine Receptor Activity through Lynx1 Modulation. Quantitative Characterization of Cholesterol Partitioning Between Binary Bilayers. Folding of ClC Chloride Transporter Retains Memory of Its Evolutionary History. Structural Conservation and Effects of Alterations in T Cell Receptor Transmembrane Interfaces. 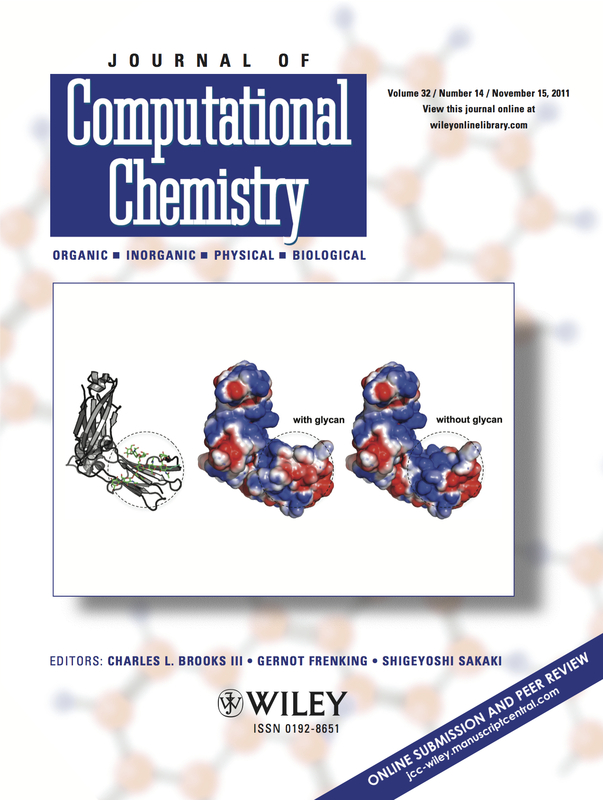 Multiple Conformational States Contribute to the 3D Structure of a Glucan Decasaccharide: A Combined SAXS and MD Simulation Study. Characterizing Residue-Bilayer Interactions Using Gramicidin A as a Scaffold and Tryptophan Substitutions as Probes. Effects of N-Glycan Composition on Structure and Dynamics of IgG1 Fc and Their Implications for Antibody Engineering. Anthrax Toxin Pore Formation and Asymmetric Cryo-EM Structure of LFN Bound PA Pore. Heterogeneity in Non-Epitope Loop Sequence and Outer Membrane Protein Complexes Alters Antibody Binding to the Major Porin Protein PorB in Serogroup B Neisseria meningitidis. CHARMM-GUI Martini Maker for Modeling and Simulation of Complex Bacterial Membranes with Lipopolysaccharides. Conformational Dynamics of the Lipopolysaccharide from Escherichia coli O91 Revealed by NMR Spectroscopy and Molecular Simulations. Transmembrane Features Governing Fc Receptor CD16A Assembly with CD16A Signaling Adaptor Molecules. Transmembrane Motions of PglB Induced by LLO are Coupled with EL5 Loop Conformational Changes Necessary for OST Activity. Molecular Simulation and Biochemical Studies Support an Elevator-Type Transport Mechanism in EIIC. CHARMM-GUI 10 Years for Biomolecular Modeling and Simulation. CHARMM-GUI MDFF/xMDFF Utilizer for Molecular Dynamics Flexible Fitting Simulations in Various Environments. Modeling and Simulation of Bacterial Outer Membranes and Interactions with Membrane Proteins. Gramicidin A Channel Formation Induces Local Lipid Redistribution II: A 3D Continuum Elastic Model. Gramicidin A Channel Formation Induces Local Lipid Redistribution I: Experiment and Simulation. Refinement of OprH-LPS Interactions by Molecular Simulations. L-Met Activates Arabidopsis GLR Ca2+ Channels Upstream of ROS and Regulates Stomatal Movement. 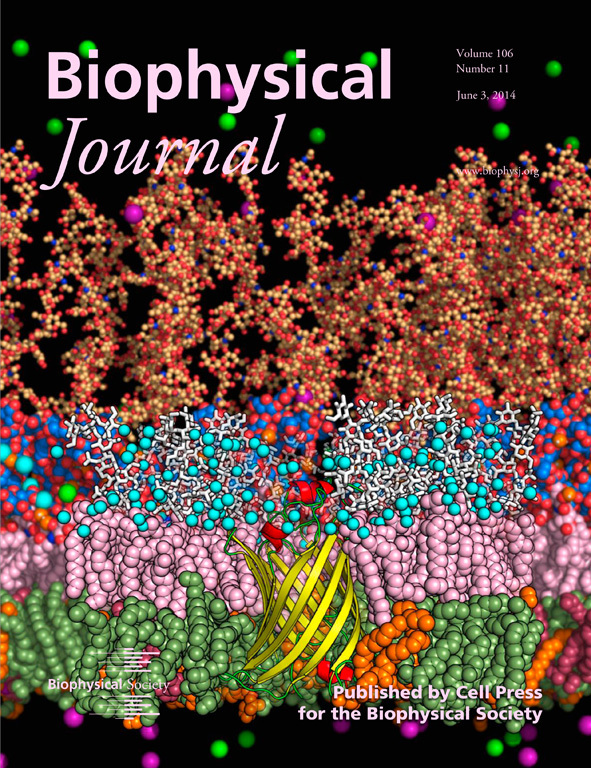 Influence of Cholesterol on Phospholipid Bilayer Structure and Dynamics. Influence of Ganglioside GM1 Concentration on Lipid Clustering and Membrane Properties and Curvature. A Conserved αβ Transmembrane Interface Forms the Core of a Compact T Cell Receptor-CD3 Structure Within the Membrane. Effects of Spin-labels on Membrane Burial Depth of MARCKS-ED Residues. BamA POTRA Domain Interacts with a Native Lipid Membrane Surface. Molecular Dynamics Simulation Strategies for Protein-Micelle Complexes. G-LoSA: An Efficient Computational Tool for Local Structure-Centric Biological Studies and Drug Design. Roles of Glycans in Interactions Between gp120 and HIV Broadly Neutralizing Antibodies. Converting One-Face α-Helix Mimetics into Amphiphilic α-Helix Mimetics as Potent Inhibitors of Protein-Protein Interactions. Preferred Conformations of N-glycan Core Pentasaccharide in Solution and in Glycoproteins. Insight into Early-stage Unfolding of GPI-anchored Human Prion Protein. CHARMM-GUI HMMM Builder for Membrane Simulations with the Highly Mobile Membrane-Mimetic Model. CHARMM-GUI Martini Maker for Coarse Grained Simulations with the Martini Force Field. How Tolerant are Membrane Simulations with Mismatch in Area per Lipid Between Leaflets? Transmembrane Complexes of DAP12 Crystallized in Lipid Membranes Provide Insights into Control of Oligomerization in Immunoreceptor Assembly. Solid-State NMR-Restrained Ensemble Dynamics of a Membrane Protein in Explicit Membranes. Potential Application of Alchemical Free Energy Simulations to Discriminate GPCR Ligand Efficacy. Effects of N-glycosylation on Protein Conformation and Dynamics: Protein Data Bank Analysis and Molecular Dynamics Simulation Study. Concerted Motions Networking Pores and Distant Ferroxidase Centers Enable Bacterioferritin Function and Iron Traffic. Design, Solid-Phase Synthesis, and Evaluation of a Phenyl-Piperazine-Triazine Scaffold as α-Helix Mimetics. CHARMM-GUI PDB Manipulator for Advanced Modeling and Simulations of Proteins Containing Nonstandard Residues. CHARMM-GUI Membrane Builder Toward Realistic Biological Membrane Simulations. Potential Pharmacological Chaperones Targeting Cancer-associated MCL-1 and Parkinson's Disease-associated α-synuclein. A Systematic Molecular Dynamics Simulation Study of Temperature Dependent Bilayer Structural Properties. Theory of Adaptive Optimization for Umbrella Sampling. E. coli Outer Membrane and Interactions with OmpLA. Preferred Orientations of Phosphoinositides in Bilayers and Their Implications in Protein Recognition Mechanisms. CHARMM-GUI PACE CG Builder for Solution, Micelle, and Bilayer Coarse-Grained Simulations. Probing the U-shaped Conformation of Caveolin-1 in a Bilayer. Multidimensional Umbrella Sampling and Replica-Exchange Molecular Dynamics Simulations for Structure Prediction of Transmembrane Helix Dimers. Molecular Dynamics Simulation and NMR Spectroscopy Studies of E. coli Lipopolysaccharide Structure and Dynamics. CHARMM-GUI Micelle Builder for Pure/Mixed Micelle and Protein/Micelle Complex Systems. NMR-Based Simulation Studies of Pf1 Coat Protein in Explicit Membranes. Quantification of Drive-Response Relationships Between Residues During Protein Folding. Assessing Smectic Liquid-Crystal Continuum Models for Elastic Bilayer Deformations. Restricted N-glycan Conformational Space in the PDB and Its Implication in Glycan Structure Modeling. CHARMM-GUI Ligand Binder for Absolute Binding Free Energy Calculations and Its Application. Two Dimensional Window Exchange Umbrella Sampling for Transmembrane Helix Assembly. Protein Dynamics and Ion Traffic in Bacterioferritin. Identification of Ligand Templates using Local Structure Alignment for Structure-based Drug Design. Application of Binding Free Energy Calculations to Prediction of Binding Modes and Affinities of MDM2 and MDMX Inhibitors. Influence of Hydrophobic Mismatch on Structures and Dynamics of Gramicidin A and Lipid Bilayers. NMR Observable-Based Structure Refinement of DAP12-NKG2C Activating Immunoreceptor Complex in Explicit Membranes. Transmembrane Helix Assembly with Window Exchange Umbrella Sampling. An Ensemble Dynamics Approach to Decipher Solid-State NMR Observables of Membrane Proteins. Web Interface for Brownian Dynamics Simulation of Ion Transport and Its Applications to Beta-Barrel Pores. Evidence for a Fence/Corral that Impedes the Diffusion of Phosphatidylinositol 4,5-bisphosphate (PIP2) into and out of the Forming Phagosomes of Macrophages. Glycan Reader: Automated Sugar Identification and Simulation Preparation for Carbohydrates and Glycoproteins. 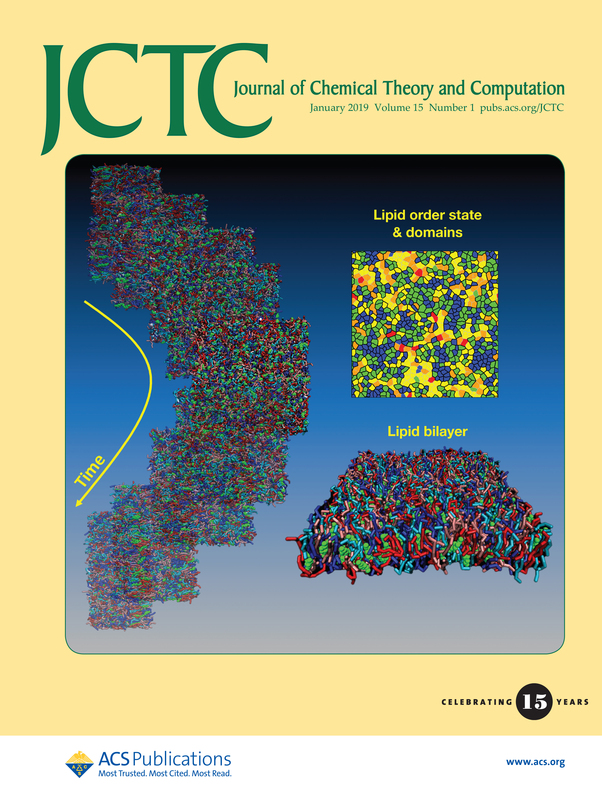 Membrane Tension, Lipid Adaptation, Conformational Changes, and Energetics in MscL Gating. Transmembrane Signaling of Chemotaxis Receptor Tar: Insights from Molecular Dynamics Simulation Studies. Solid-State NMR Ensemble Dynamics as a Mediator Between Experiment and Simulation. Transmembrane Helix Orientation and Dynamics: Insights from Ensemble Dynamics with Solid-State NMR Observables. Orientation of Fluorescent Lipid Analog BODIPY-PC to Probe Lipid Membrane Properties: Insights from Molecular Dynamics Simulations. Brownian Dynamics Simulations of Ion Transport through VDAC. Novel Pyrrolopyrimidine-Based α-Helix Mimetics: Cell-Permeable Inhibitors of Protein-Protein Interactions. Protegrin-1 Orientation and Physicochemical Properties in Membrane Bilayers Studied by Potential of Mean Force Calculations. 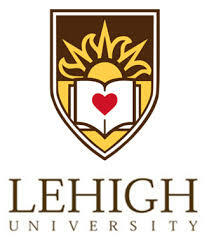 Cholesterol Flip-Flop: Insights from Free Energy Simulation Studies. Structural, NMR Spectroscopic, and Computational Investigation of Hemin Loading in the Hemophore HasAp from Pseudomonas aeruginosa. Revisiting Hydrophobic Mismatch with Free Energy Simulation Studies of Transmembrane Helix Tilt and Rotation. NMR Characterization of Hydrophobic Collapses in Amyloidogenic Partially Folded States and Their Implications for Protein Misfolding and Amyloid Formation. A Repulsive Electrostatic Mechanism for Protein Export through the Type III Secretion Apparatus. Comparative Molecular Dynamics Simulation Studies of Protegrin-1 Monomer and Dimer in Different Lipid Bilayers. Novel Free Energy Calculations to Explore Mechanisms and Energetics of Membrane Protein Structure and Function. Beta-Hairpin Restraint Potentials for Calculations of Potentials of Mean Force as a Function of Beta-Hairpin Tilt, Rotation, and Distance. Molecular Dynamics Studies on Structure and Dynamics of Phospholamban Monomer and Pentamer in Membranes. PBEQ-Solver for Online Visualization of Electrostatic Potential of Biomolecules. Application of Solid-state NMR Restraint Potentials in Membrane Protein Modeling. Role of Hydrogen Bonding and Helix-Lipid Interactions in Transmembrane Helix Association. A Novel Strategy to Determine Protein Structures using Exclusively Residual Dipolar Coupling. Generation and Application of New Rat Monoclonal Antibodies against Synthetic Tags for Improved Immunodetection. Transmembrane Helix Tilting: Insights from Calculating the Potential of Mean Force. Automated Builder and Database of Protein/Membrane Complexes for Molecular Dynamics Simulations. Differences in the Electrostatic Surfaces of the Type III Secretion Needle Proteins. Restrain Potential and Free Energy Decomposition for Helical Tilting. Explicit Treatment of Force Contribution from Alignment Tensor using Overdetermined Linear Equations and Its Application in NMR Structure Determination. Implementation and Application of Helix-Helix Distance and Crossing Angle Restraint Potentials. Membrane Assembly of Simple Helix Homo-oligomers Studied via Molecular Dynamics Simulations. Protein-Protein Interactions in Actin-Myosin Binding and Structural Effects of R405Q Mutation: A Molecular Dynamics Study. Balancing Solvation and Intramolecular Interactions: Towards a Self-Consistent Generalized Born Force Field. Peptide and Protein Folding and Conformational Equilibria: Theoretical Treatment of Electrostatics and Hydrogen Bonding with Implicit Solvent Models. Application of Torsion Angle Molecular Dynamics for Efficient Sampling of Protein Conformation. Interfacial Folding and Membrane Insertion of Synthetic Peptides Studied by Molecular Dynamics Simulations. Generation of Native-like Models from Limited NMR Data, Modern Force Fields and Advanced Conformational Sampling. Refinement of NMR Structure using Implicit Solvent and Advanced Sampling Techniques. Ion Permeation through the α-Hemolysin Channel: Theoretical Studies based on Brownian Dynamics and Poisson-Nernst-Plank Electrodiffusion Theory. 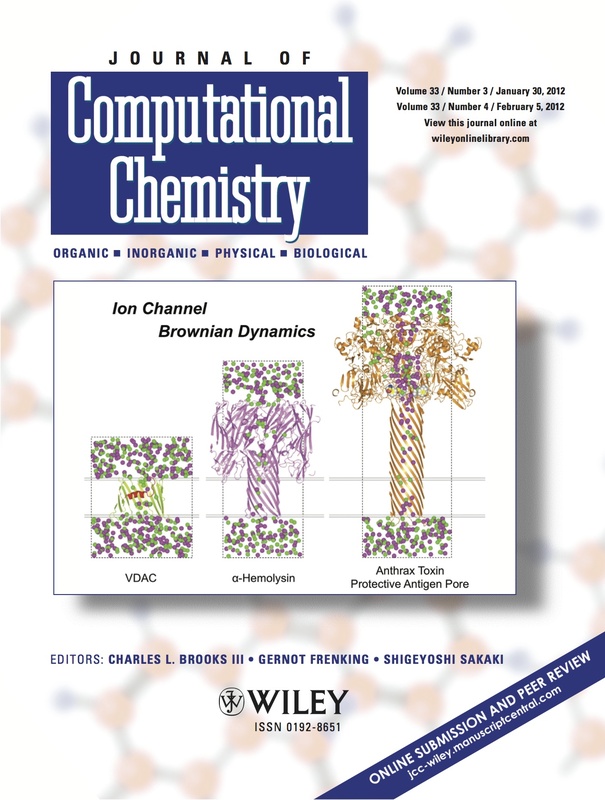 Theoretical and Computational Models of Biological Ion Channels. De Novo Folding of Membrane Proteins: An Exploration of the Structure and NMR Properties of the fd Coat Protein. Implicit Solvation Based on Generalized Born Theory in Different Dielectric Environment. An Implicit Membrane Generalized Born Theory for the Study of Structure, Stability, and Interactions of Membrane Proteins. Generalized Born Model with a Simple Smoothing Function. Electrostatic Free Energy Calculations using the Generalized Solvent Boundary Potential Method. Ion Permeation and Selectivity of OmpF Porin: A Theoretical Study Based on Molecular Dynamics, Brownian Dynamics, and Continuum Electrodiffusion Theory. Ions and Counterions in a Biological Channel: A Molecular Dynamics Simulation of OmpF Porin from Escherichia coli in an Explicit Membrane with 1 M KCl Aqueous Salt Solution. Imaging the Electrostatic Potential of Transmembrane Channels: Atomic Probe Microscopy of OmpF Porin. Brownian Dynamics Simulations of Ions Channels: A General Treatment of the Electrostatic Reaction Field for Molecular Pores of Arbitrary Geometry. Generalized Solvent Boundary Potentials for Computer Simulations. Ion Channels, Permeation, and Electrostatics: Insight into the Function of KcsA. Grand Canonical Monte Carlo - Brownian Dynamics Algorithm for Simulating Ion Channels. Optimized Atomic Radii for Protein Continuum Electrostatics Solvation Forces. Continuum Solvation Model: Computation of Electrostatic Forces from Numerical Solutions to the Poisson-Boltzmann Equation. Molecular Dynamics Simulation on Thermodynamic and Structural Properties of Liquid Hydrocarbons: Normal Alkanes.